Between PlayerUnknown’s Battlegrounds, Fortnite: Battle Royale, H1Z1, and many other similar games, there is no escaping the battle royale genre. Sure, there is the occasional small-scale outliers like Rocket League and Rainbow Six Siege here and there – you know, little games like that – but even then we are talking about games built on action-packed competition. There is no time to slow down and smell the flowers. Where do you go to hang out and chill with people online? Well, that is exactly where the forthcoming multiplayer expansion for Stardew Valley blooms. If you need something to play with a mate right now, here are the best co-op games on PC. The lack of a multiplayer mode was one of the few shortcomings of Stardew Valley when it was released two years ago. Eric Barone’s take on the Harvest Moon series seemed tailor-made for having online players join together to tend to crops and then reflect on the day’s work in the nearby village saloon. That is why fans soon took to filling that glaring hole in the game’s feature list with makeshift multiplayer mods. But this spring an official multiplayer expansion will be hitting beta. In the multiplayer, you will be able to build up to three cabins on your farm that each house a farmhand. 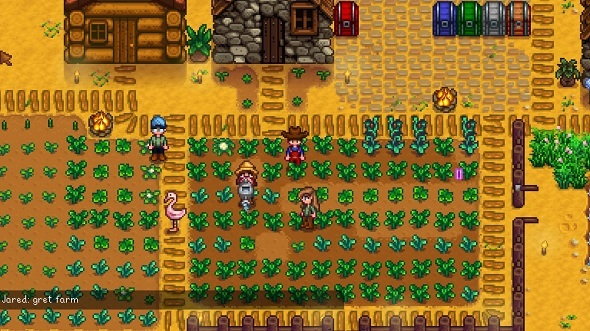 These three farmhands can be controlled by your friends, meaning they will be able to help you out as you farm, mine, fish, fight, forage, and marry other characters – they can do nearly everything you can, then (apart from dispute your rent fees, presumably). While the announcement came with some disappointing disclaimers – “local multiplayer, split-screen and PVP are not planned at this point” – it delivered on the most requested feature and it could not have come at a better time. 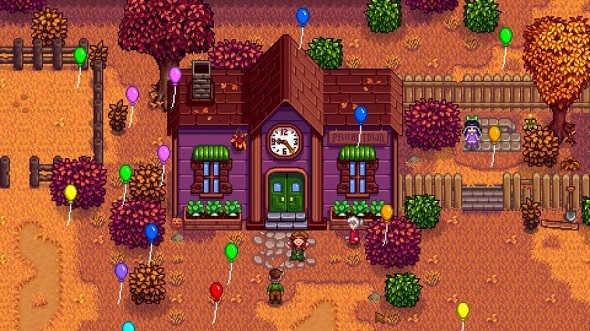 Think about it: if Stardew Valley once again climbs to the upper echelons of Steam’s charts, propelled by the new multiplayer mode, we all stand to benefit. There is nothing wrong with PlayerUnknown’s Battlegrounds and its counterparts in the battle royale genre, but we could all do with some downtime, right? Shooting other people and being the last person standing is fun but games should offer us more than just that. And if multiplayer modes that let unite us to fight against zombies together is not working then perhaps it is time to try something else. 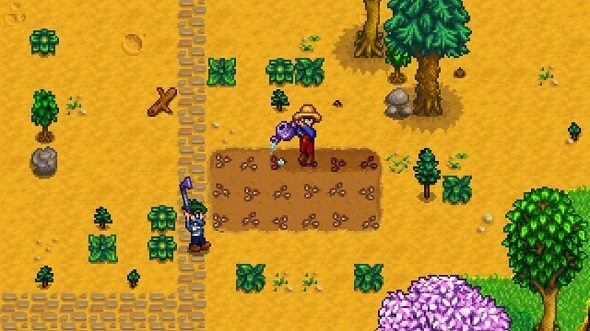 Here’s to hoping that Stardew Valley’s multiplayer is the alternative online mode we all need.